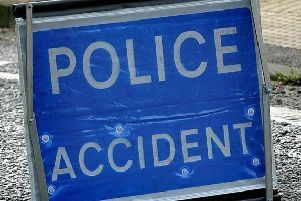 A section of the A21 was closed this morning due to a collision between a motorbike and a truck, according to Sussex Police. A police spokesman said the collision happened close to Marley Lane, Battle, and police were called to the scene at 10.50am. The road has been closed between the Blackbrooks garden centre and Whatlington, according to police, and the Johns Cross roundabout is also closed. A spokesman for the South East Coast Ambulance Service said crews had been sent to the scene and assessed two patients before taking them to the Royal Sussex County Hospital, in Brighton. The spokesman said injuries were suffered by the motorbike rider and a pillion passenger. The injured were a male and a female. Police said the road was closed for approximately two hours.